Hello DoF community! 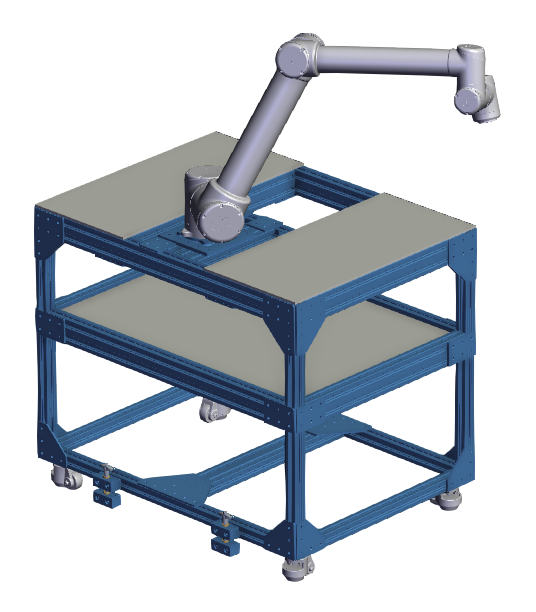 Are there any custom mobile platforms for multiple machine tending applications that anyone is willing to share? I have a client that is building their own platform for a UR10 they just received and I'm looking for best practices. Thanks in advance! A 2-piece locating pin to guarantee alignment repeatability. Leveling caster wheels to quickly go from wheeling to stationary configurations. We're happy to provide design support if need be. Thanks Max! I have been exploring vention.io - thanks for the referral! I'm intrigued by the leveling casters and how stable they are when in a stationary configuration. I'll check it out. Thanks again! There are a few leveling caster models available, depending on your application. I've seen most versions and they were all very stable.